Anna Roux was a professional dancer who followed the man of her dreams from Paris to Missouri. There, alone with her biggest fears – imperfection, failure, loneliness – she spirals down anorexia and depression till she weighs a mere eighty-eight pounds. Forced to seek treatment, she is admitted as a patient at 17 Swann Street, a peach pink house where pale, fragile women with life-threatening eating disorders live. Women like Emm, the veteran; quiet Valerie; Julia, always hungry. Together, they must fight their diseases and face six meals a day. Yara Zgheib’s poetic and poignant debut novel is a haunting, intimate journey of a young woman’s struggle to reclaim her life. Every bite causes anxiety. Every flavor induces guilt. And every step Anna takes toward recovery will require strength, endurance, and the support of the girls at 17 Swann Street. I only intended to read a few chapters of this book, just get a start on it before sleeping. Several hours later at 4 a.m. I finished this book and woke a few hours later with zero regrets. There is no preface, no baby steps to this book just an immediate and totally appropriate jump into the deep end from the first page. Anna Roux is 26 years old and weighs just 88 pounds when her beloved husband checks her into the treatment center at 17 Swann Street. Nearly every system in her body is damaged, her brain tells her food is the enemy, the thing that will keep her from being perfect, and yet, she still isn’t convinced she has a problem. Thankfully, the staff at 17 Swann Street understand Anna’s situation perfectly and know how to help her; they simply must convince her she has a problem and wants help. 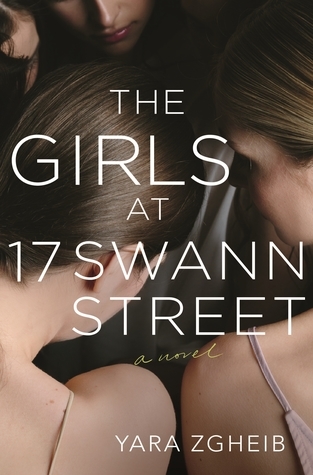 Understandably, Anna’s first days at 17 Swann Street are some of the most traumatic of her life. The staff, though seemingly uncaring, have only her best interest at heart yet Anna is too broken, scared, and defiant to see the situation clearly. All Anna can see are the treacherous foods before her she is required to eat if she doesn’t want to have a feeding tube shoved up her nose and down into her stomach. What’s more, the staff, her team, want her to talk in private and group therapy, acknowledge the pain and circumstances that have led her to this place, and make food choices from a menu that is filled with nothing but damnable foods meant to invade her body and force her to gain weight. To say her time at 17 Swann Street is difficult and sometimes debilitating doesn’t even come close to describing Anna’s experience. The only things that seem to get her through the minutes and the meals are knowing her beloved husband will come to see her every single night and the other women, all equally broken who also occupy rooms at 17 Swann Street. Her husband, though loving and supportive and cannot even begin to understand Anna’s situation, yet the other women understand her perfectly. As the days go by, Anna slowly begins to know the other women, their individual stories, and their demons. She begins to understand a kind of support she has never known and a kind of fear she never thought possible. Not all the women at 17 Swann Street have Anna’s strength and when several die or are carried away to a more intensive treatment/level of care, Anna understands, if she doesn’t battle her own demons, she will die! The Bottom Line: I was completely engrossed in this story from the very beginning. Zgheib doesn’t just tell a story but lays out a medical study with the notes from Anna’s medical team; the startling facts and numbers of a real anorexic’s life in black and white. While Anna is the primary focus of the book, she isn’t an island and in many ways, her interactions with the other women very much define her own journey. Anna sees successes, achievements, and spectacular failures in her housemates which all help her get her own thoughts and feelings in order. While these women are by no means friends, they are a support and, in some cases, a warning to a woman who finally realizes she wants to be healthy and commits to her own recovery. Make no mistake, this isn’t a jaunt toward a completely implausible rainbows and unicorns ending, but a long, winding, and difficult journey of a woman who will be healthy but will also struggle with her demons every day for the rest of her life. In this way, I found this book to be even better and completely appreciated the truth and the honesty of the writing. This is a hard topic, a hard read, a hard story, but it is beautifully and honestly written and that gives it and the men and women who struggle with this terrible illness a strength.